A 38-tonne mining machine, navigating through a labyrinth of 1740 square meters of glass, without a driver - what could possibly go wrong? 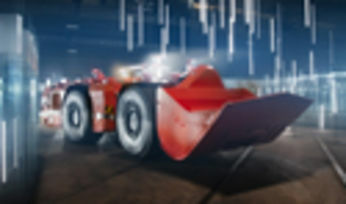 Sandvik's glass labyrinth is bringing the hazardous, narrow and tricky mining terrains to the surface, to showcase the automated loaders capabilities. Furthermore, highlighting advanced engineering and technology, which has safely guided automated loaders and trucks in real mines for over 20 years - with zero accidents involving people. This next generation automation, proves that its laser sensors allows it to identify other materials than the rock walls, it was originally designed for. It can securely maneuver through the narrow glass aisles, without even gracing the surface, underlining the safety of operation in actual mining tunnels. To legitimize the authenticity of the test, the CEO of Sandvik, Björn Rosengren, turned off the automated driving, and operated the vehicle himself. He demolished the glass walls of the labyrinth and hauled the remains for recycling. Proving the precise, exact and flawless movement of the automation system, is key to understanding how the innovative technology, is changing the safety for workers in the mining industry. Through a convenient information management system, Sandvik offers transparency of equipment health and performance, which is essential in the improvement of mining advancement. The meticulous process ensures, that accidents are minimized. The automated driving system is so safe and reliable, it can easily be compared to driving on a railroad. At the same time, the automation is moving the workers away from the dangers of working underground - away from emissions, away from smoke inhalation and unpredictable topography. Instead they are controlling and overviewing the work from the surface. "The benefit of the automated system, is that, we are moving the people from the hazardous environment, to the safe environment - from the underground point, to the control room", says Jouni Koppanen, Senior Systems Engineer for Automation at Sandvik. The automation system functions through four sensors, consisting of; laser sensors; gyroscopes; odometers and angle sensors. This makes navigation possible underground, even without a GPS. A systems operator will be in a control room above the mine and direct the machines movements. However, it's the intelligent system and the patented Sandvik algorithms, which handles the difficult tasks, such as: speed assessment, driving, loading material - and almost everything else. The goal is changing the mining industry for the better. This is handled by not only improving the current technology, but through continuous innovative solutions, which can establish a new standard for mining and rock excavation. 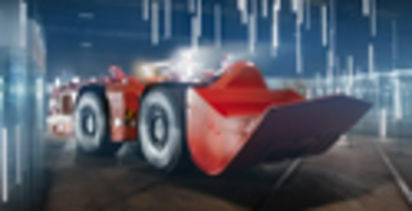 Sandvik's underground loaders can manage the harshest of requests. They are very navigable and enable high efficiency. The glass labyrinth doesn't represent an ordinary way of displaying state-of-the-art technology and engineering - and it's exactly this brand of unconventional thinking, that is bringing Sandvik to the forefront of the business. The recently launched next generation of equipment, now means that loader's bucket filling and dumping has been automated, for the first time in history. A sensational achievement, which allows the machines productions cycle to be fully automated, by loading, transporting and emptying material, without assistance. These systems can increase production and safety, while lowering the total cost of ownership. One could argue, that the most successful automation implementation strategy, utilizes the creativity and innovation of human intelligence, and the accurateness and precision of artificial intelligence. It has always been a tradition for Sandvik to work closely with the customers, operators and workers, who employs the equipment. This way, it is possible to develop technology and products which are streamlined, for bettering current practices and tackling new problems. A significant part to this approach, is digitalization, where information can flow more transparent and swiftly. Another area of the development, is the electrification of the industry. A future where more loaders are operating exclusively on batteries, and electric solutions. Minimizing or removing the reliance on diesel-based engines, will result in lower costs, emissions and cleaner air in the workspace. As the video proves, with a great team and with the right skillsets, you can achieve almost anything.